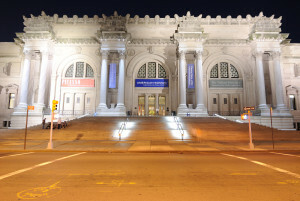 Manhattan is a city with a diverse culture and offers many attractions and exhibits to support this. It is also the home to dozens of museums that range on topics from comedy, history, art, and more. Tripps Travel Network reviews four of the most popular museums that tourists flock to while in Manhattan which are the Museum of Natural History, Museum of Modern Art, Madame Tussaud’s Wax Museum, and the New York City Library. The Museum of Natural History can best be remembered in the popular movie, “Night at the Museum,” featuring Ben Stiller locked in the museum when all of the exhibits come to life. Many of the exhibits that were shown in the movie can be seen in real museum. Popular attractions include the Hall of Birds of the World and the Hall of Reptiles and Amphibians. The Museum of Modern Art, or otherwise known as MoMA, features collections of modern art from all different types of mediums. For those who are avid art lovers, this is a paradise of unique pieces that include performance art, media, prints, sculptures, painting, and architecture. For those who wish to enjoy artifacts of a different sort, Madame Tussaud’s Wax Museum is the place to go. This unique museum provides life-like wax figurines of popular celebrities in today’s culture. Set in different zones that highlight themes, the figures are great to take pictures with for an unforgettable memory.